Angry retailers confront Transport Minister over impact of light rail on business – The Animal, Tree And Homeless Campaign. 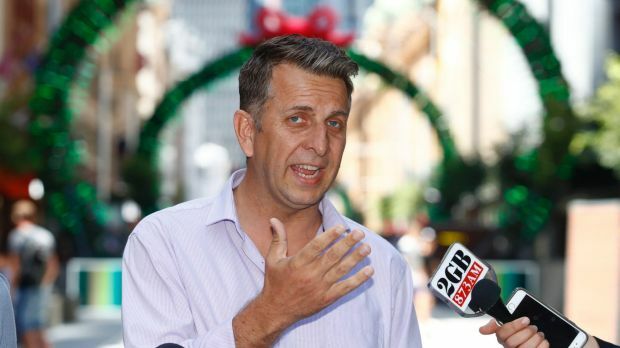 Two angry shop owners have confronted NSW Transport Minister Andrew Constance at a press conference over the lack of compensation for businesses affected by the government’s light rail project. 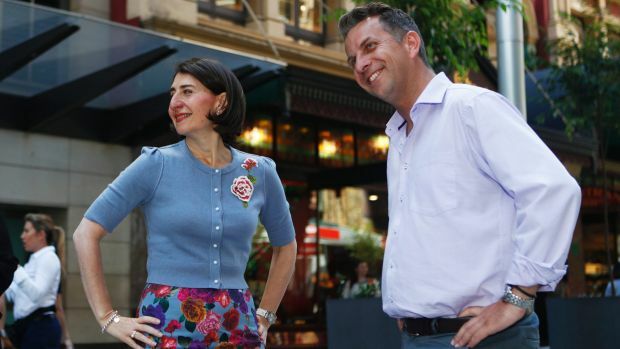 Mr Constance and Premier Gladys Berejiklian were addressing the media in the CBD on Sunday morning, announcing the opening of the first two sections of George Street to pedestrians. Local businesses owners Mark and Jennifer Duff interrupted the press conference at numerous points to express frustration with the impact of the infrastructure program. “Our business dropped 90 per cent,” Mr Duff said. He said several small businesses had claimed rent relief, but that the government was “not in the business of compensating people” due to the “bigger endgame” of infrastructure benefits. “If we compensated every business that was affected by the $73 billion program, we wouldn’t be able to deliver a thing,” Mr Constance said. When asked if the government had done enough to help retailers, he said: “I’m not interested in this, I’ve made the point. If people want to come forward and get rental assistance, it’s available.”. Mr Duff said their two jewellery shops in the CBD had seen a steep downturn in turnover: 90 per cent in their Strand Arcade store, and 30 to 40 per cent in another store. “I’m absolutely disgusted with the way they just took it upon themselves to shut the city down,” Ms Duff said. 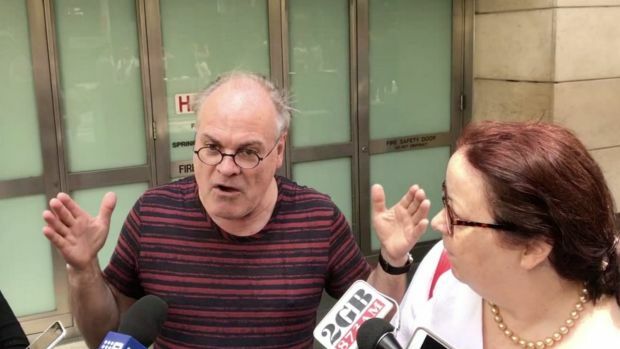 The couple said they had applied for compensation under the rental assistance scheme last week but had not heard back. Mr Duff said retailers had to rebuild their customer base from scratch after “the government blows up your business and shuts you out for two years”. “You’re [business owners] just collateral damage. It’s so convenient for politicians to say ‘Yes, that’s acceptable collateral damage,’ ” she said. Ms Berejiklian said the government had tried as much as possible to support the businesses affected. “We know that when you’re building a major project, disturbance is always unfortunate,” she said. She struck an enthusiastic tone as she spoke on the newly reopened strip between King and Park streets, which is the first section of the light rail line to have major civil construction completed. “The future is so bright for our great city,” she said. 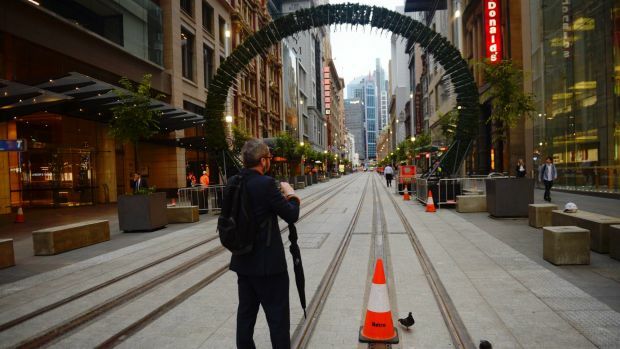 The opening of the first two sections of George Street to pedestrians last week elicited largely positive responses. Almost a dozen trees have been planted, and there are plenty of seats on either side of the thoroughfare, along with Christmas decorations installed for the holiday season. However, the $2.1 billion project has caused its share of headaches for the state government and the public alike. Business owners have consistently complained of revenue falling due to noise and dust from construction deterring shoppers. Mr and Ms Duff echoed these complaints and said regular customers developed from years of marketing and goodwill had been lost. “If they’re walking through drills blasting and jackhammering and concrete and dust, they don’t want to be here,” Ms Duff said. The Transport Minister also hailed the fact that a predicted “mass closure” of businesses had not occurred. Patricia Forsythe, Executive Director of the Sydney Business Chamber, emphasised the benefits of the pedestrian boulevard to retailers and shoppers in the weeks leading up to Christmas. “This opening and Christmas activation comes as a Christmas gift for businesses who have been impacted by the light rail construction work,” she said. Mr Duff said the Christmas decorations weren’t enough to make up for the fact they had been left in “no-man’s land” for the past two years of construction. “I don’t think they should get there and do a press conference and the facts aren’t challenged. “All they’re doing is making glib statements about how we’re building a greater Sydney,” he said. The pair said there had been no respite after working six or seven days a week for the past two years to stay afloat. They said Mr Constance’s lack of empathy was poor and said the government wasn’t interested in listening to their concerns. While civil construction work has been completed along two sections of George Street, a significant portion of the CBD is still under construction. Under the government’s original timetable, track work along the 12-kilometre route from Circular Quay to Randwick and Kensington was due to be completed by April next year, with testing to start two months later. Mr Constance said on Sunday that testing was “around the corner” but wouldn’t offer a specific time frame. Under the original plans, 67-metre trams capable of carrying of up to 450 passengers were due to start operating on the route in 2019. Transport minister Andrew Constance can be contacted on (02) 8574 5000 for compensation. Cancel The Sydney Light Rail project.